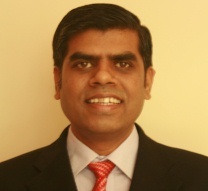 Vivek Ratna has over 16 years of experience in IT and telecom industry, bulk of which has been spent in HP. Prior to the current role in HP, he was the Enterprise Account Manager handling few of the largest corporates in India in the telecom space. Prior to HP, he worked in Reliance Communications as part of their national strategy team and also in Wipro and HCL Infosystems.